Pyha is located just above the Arctic Circle and is surrounded by the breathtaking scenery of Finland. It’s a place where visitors can feel like a part of nature while still receiving a world-class skiing experience. A lot of the resort falls within the Pyha-Luosto National Park, putting tourists right in the middle of the country’s majestic landscape. It’s a fantastic place to learn how to ski, or set yourself new challenges, with great runs spread across the region. Such is the quality of Pyha's terrain, it is used as the practice area for the Finnish Freestyle skiing team. The winter season runs from November to April and the runs are immaculately presented, with a smooth surface guaranteed. 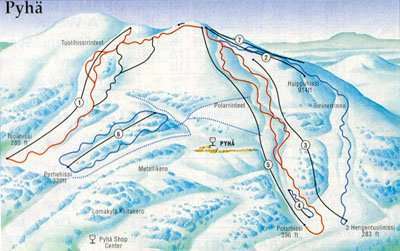 Across Pyha, there are 14 slopes set at an altitude of 201m with 80km of piste. Eight lifts are available to help people explore the many runs throughout the resort, with the longest measuring 1800m. In addition, there is a snowboard park and plenty of off-piste options. Some routes are designed specifically for families, making it a great place for those young and old who are new to the thrills of wintersports. 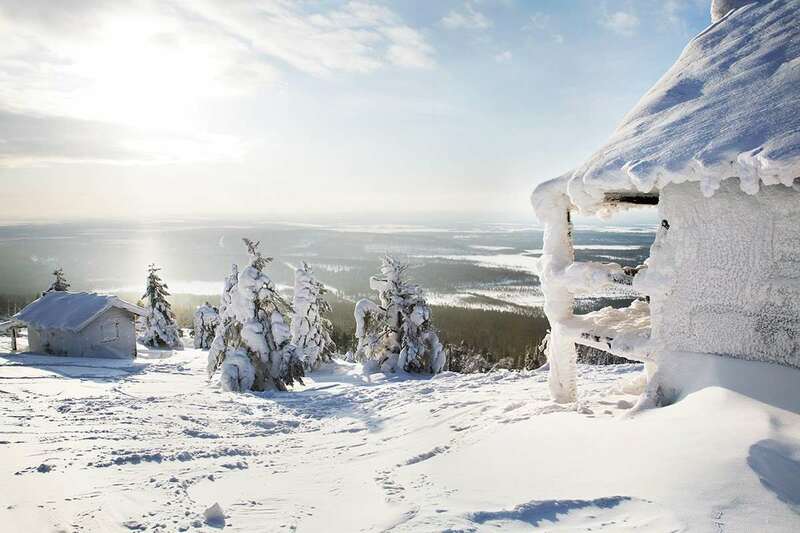 As well as this, there is 1500km of cross-country tracks available in the nearby Luosto National Park, giving travellers a phenomenal view of the area’s stunning scenery. The same lift pass is valid at Ruka ski resort as well. After a day on the snow, Pyha is a great place to kick back and relax. Venues such as the SkiBistro put on some great live music performances and offer a welcoming and vibrant atmosphere. Visitors can also look forward to paragliding, indoor pools and some excellent walking routes. The closest airport to Pyha is KItillla, which is around two hours away. In February 2008 I went with my family and cousins to this Pyha resort. It has been one of my favourite, most memorable holidays so far. As a tourist, everything was perfect, breath-takingly beautiful landscape, delightful extra opportunities, husky rides, and reindeer farms. Amazing accommodation and a very relaxed and comfortable resort. I had never skied before that holiday, and the classes were great - for all levels of beginners. I picked it up much faster than my mother, and a bit faster than my sister, yet all our abilities were catered for. The whole holiday, we stayed for a week, seemed very low priced even for going during term time. I would highly recommend it, though I can't speak as an experienced skier. An excellent resort mainly family friendly though there is no cr&#232;che. Food was great and at reasonable prices. The hotel was a little more expensive. There is plenty for non skiers to do including skidooing and husky sleds. The transfer from the airport is long so take a good book. There is no A.T.M. available so ensure you have plenty cash though everywhere takes cards. We had a great holiday and would go back.